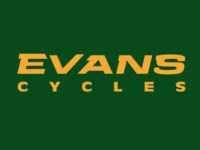 Evans Cycles says it has blacklisted the Daily Mail, Express and Sun titles as advertisers – apparently in response to being sent a 15-year-old cutting from the Mail on Sunday. The Daily Mail has responded by pointing out that the bike chain is not an advertiser and described the move as a “blatant publicity stunt”. 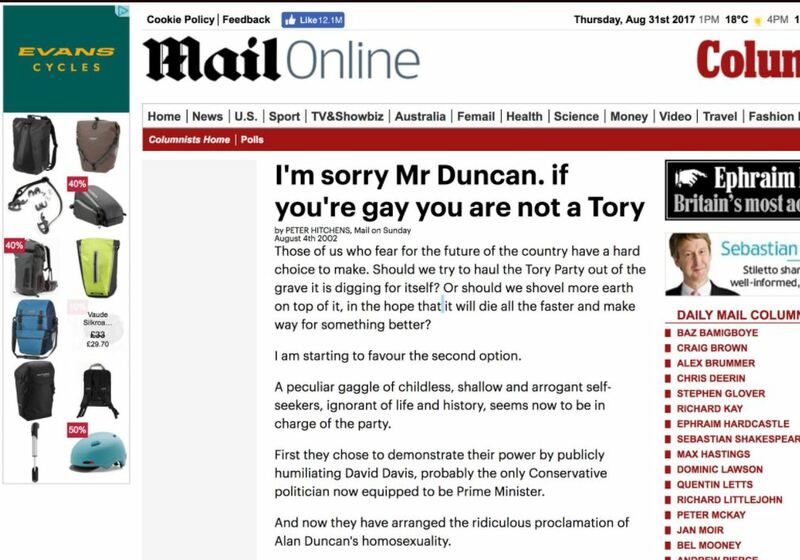 Supporters of the campaign group Stop Funding Hate tweeted a picture of the Peter Hitchens column, which still appears on Mail Online, and which suggested Tory MP Alan Duncan was morally wrong to be homosexual. 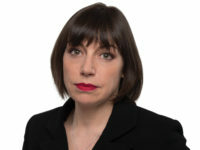 The national bike retailer also appeared to be responding to pictures of a Sun column by Rod Liddle about Theresa May’s decision to end the public sector pay freeze. Both web pages carried Evans adverts which were apparently served automatically by a digital advertising network. “Stop Funding Hate” has 78,000 followers on Twitter. A Daily Mail spokesperson told Press Gazette: “This so-called blacklisting is a blatant publicity stunt. 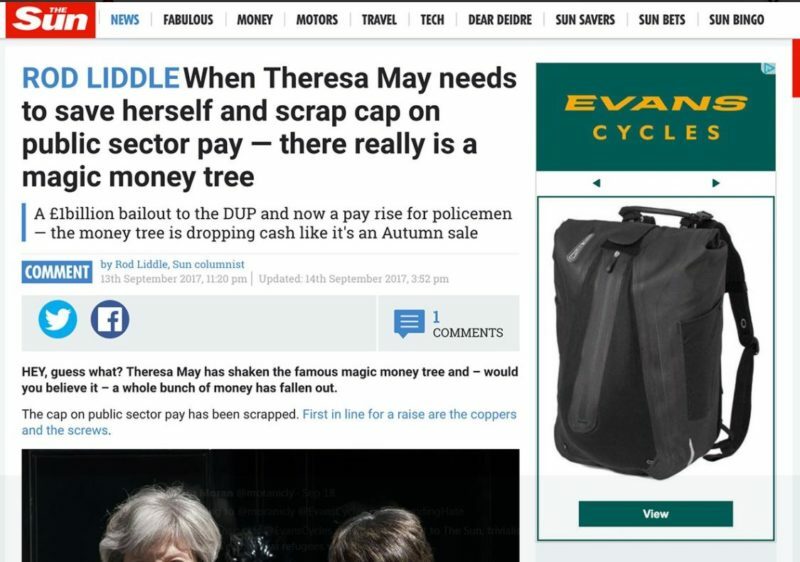 “The fact is Evans Cycles do not advertise in the Daily Mail, nor are they direct advertisers with Mail Online; one of their ads appeared there only because individuals connected with a tiny politically motivated pressure group used the site and saw third-party programmatic advertising generated by their own browsing habits. 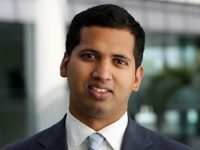 “Not only that, the article which prompted their ‘ban’ was not even published by the Daily Mail, but by The Mail on Sunday – an autonomous operation with its own editor and journalistic staff – more than 15 years ago. 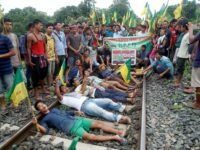 “It is very disturbing that an otherwise reputable business should seek cheap publicity by cravenly surrendering to a group of individuals seeking to suppress legitimate debate and impose their views on others by trolling them on social media. Is this what Evans Cycles mean by ‘core values’? 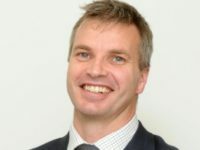 Sun insiders are understood to be particularly annoyed by the move because publisher News UK has a longstanding commercial arrangement with Evans which has seen staff buy bicycles from a nearby Evans Cycles shop under the cycle-to-work scheme. This is a perk where staff can claim back income tax on bicycles which are bought for commuting. 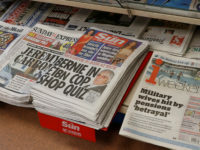 According to the Stop Funding Hate campaign other companies to blacklist advertising in the Mail, Express and Sun include: Phone Co-op and insurance company ETA Services. Lego revealed last year that it had ended a partnership with the Daily Mail and was not planning future promotional activity with it. The Stop Funding Hate campaign says it targets the three right-wing titles because it believes they are hostile to foreigners and minorities. Any Company that decides not to pay for adverts in the Daily Nazi should be applauded not chastised. It’s a pity other Companies don’t follow their lead. I might be outraged if it weren’t for the fact that The Daily Mail and the Sun both have a track record of anti-cycling articles that make sweeping generalisations about cyclists. They target cyclists because it is normally a clickbait article designed to bring in revenue rather than to investigate and inform readers. I would also like to add the Express, Star, Mirror and any other so called ‘newspaper’ to that list. I might support the press gazette on this, if those papers actually had any writers worthy of the title ‘journalist’.